That exhibition — which included the dress on a hanger next to a photo of a women wearing it — was created by the Montreal artist to highlight the contrast between vanity and aging, health and decay, life and death. When the uncooked, unrefrigerated meat decomposed after six weeks, it was replaced with another $250 worth of fresh meat. 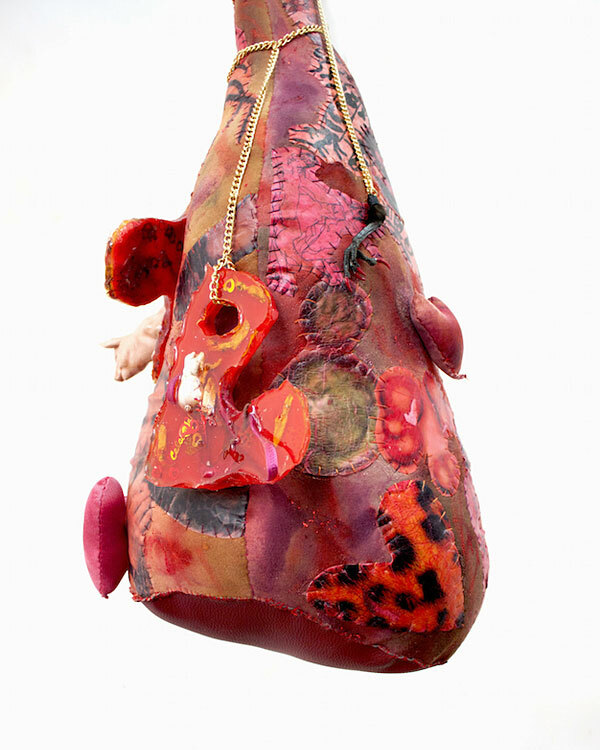 Similarly, Athena Papadopoulos employs unconventional materials to mark, bruise, and stain her stuffed sculptures, on display at Shoot the Lobster (through December 11, 2016). 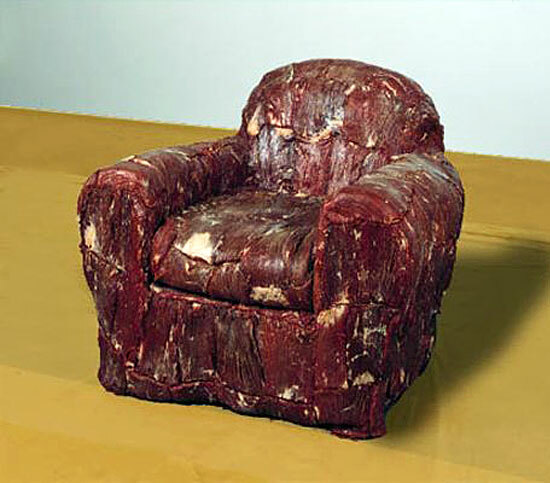 Thought meatless, the sculptures nonetheless convey a meaty bloodlust, utilizing meat hooks slathered in the artist's trademark glue mixed with self-tanner and synthetic wig clippings alongside manicured animal claws, hair dyes, Pepto Bismol, red wine, lipstick and nail polish. 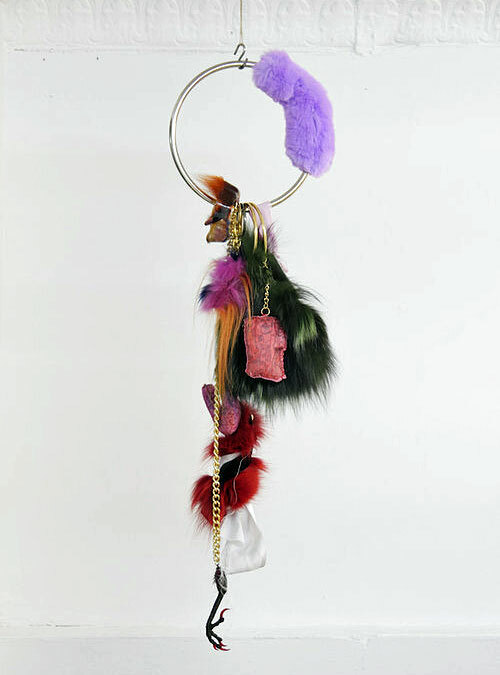 Her sculptures are also adorned with oversized vermillion-tinted polyester resin "charms" encapsulating collections of cartoonish pig figurines, legs ripped from faux frogs that mingle with confetti, peanuts shells, chicken bones, Hooters floor detritus, freeze-dried bloodworms, mini octopi, and shrimps adorned with G-strings and thongs. Quite a statement on the male gaze.